Black History Month not only represents a time to remember important people and events in the history of African Americans, top brands also use it as inspiration to roll out special colorways of their latest footwear. Although were a ways away from Black History Month, BrandBlack isn&apos;t taking their time on getting ready with their exclusive colorway for this ever important month, as they just took to their Twitter to show off a pair of Black History Month PE&apos;s for brand ambassador, Jamal Crawford. 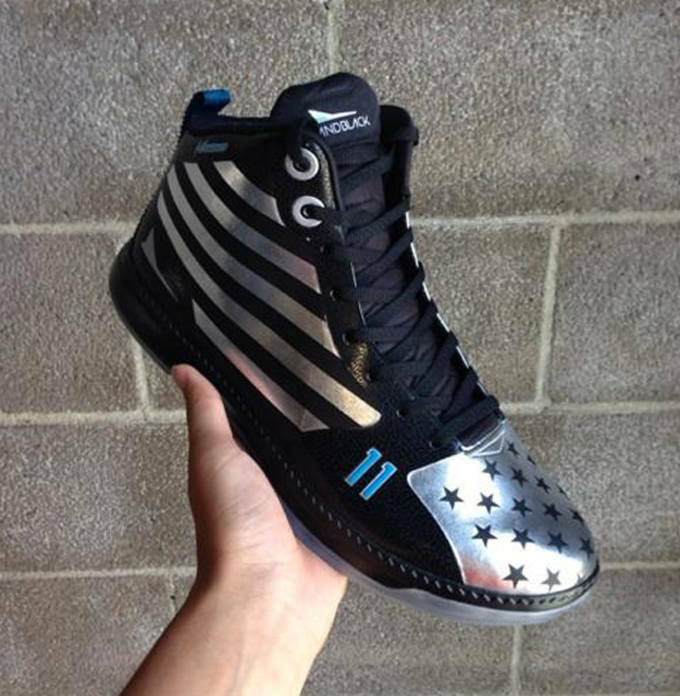 The shoe features an all black base, and is complimented with silver stripes along the lateral side of the shoes. The toe-box also dons the eye catching silver scheme, and BrandBlack takes it a step further by incorporating multiple stars throughout the design. Finally, the shoe features Crawford&apos;s number 11 done in blue, and is finished off with appears to be a icy translucent outsole. Jamal&apos;s been making his rounds around the US this offseason, and with the help of BrandBlack has held numerous pro-am&apos;s to promote the brand and Crawford&apos;s signature shoe. Would you cop the BrandBlack Black History Month PE&apos;s? Let us know and keep it locked for all future release info as it should come later on this NBA season.